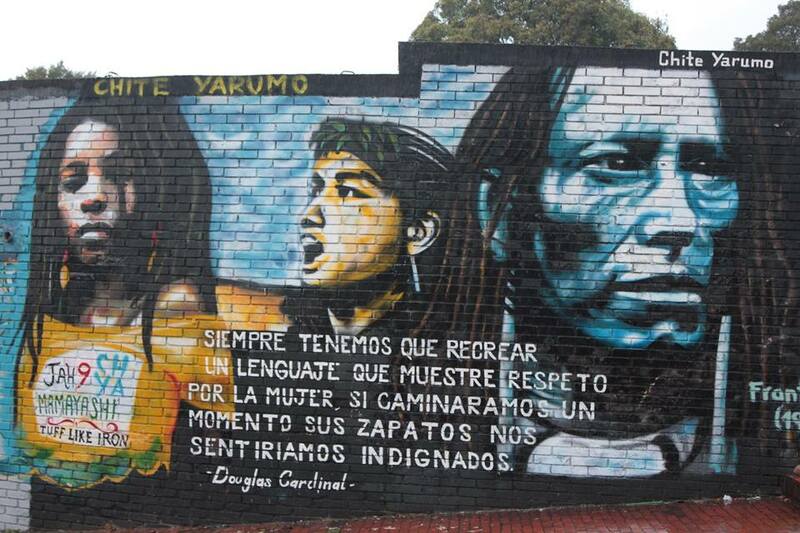 INDIGENOUS RESISTANCE is a revolutionary musical collective creating crucial pan global collaborations between indigenous cultures from the jungles, favelas and barrios with those in the industrialized world who work their musical magic in mixing studios and on laptops. IR releases are completely autonomous self-funded works achieved through barter, little money, but an abundance of commitment and co-operation. 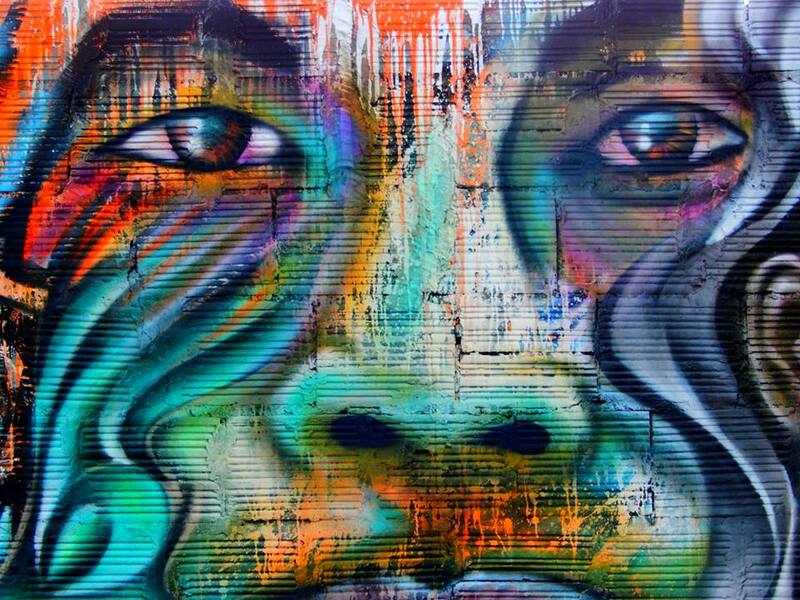 To extend the music out from the indigenous ghettos, IR has created a new model of partnership between indigenous people and western artists. This runs counter to the “ROCK STAR MODE” (i.e., Sting, Paul Simon) of portraying exotic indigenous people who are in need of rock stars to accomplish anything of importance and are incapable of independent self-directed actions but excellent for photo ops standing besides the liberal-leaning pop idols. IR runs counter to this trend of this exotification of the indigenous in our collaborations. IR works with indigenous people who live and fight in the jungles for their freedom, we also acknowledge and work with the thousands of indigenous people who live in the favelas (poor areas) of Brazil’s major cities like Sao Paulo. These include indigenous computer wizards…Hackers. The image of indigenous people being proficient with computer programming is counter to the current exotic image of indigenous people.” IR originates out of the so called “third” and “fourth” world. (Fourth world was a term coined by indigenous activist George Manuel to describe indigenous territories worldwide.) Resourcefulness and ingenuity are the essence of our work as we often work without what many in the “first” world take for granted, like money, stable electricity, instant electronic communication…for a start. 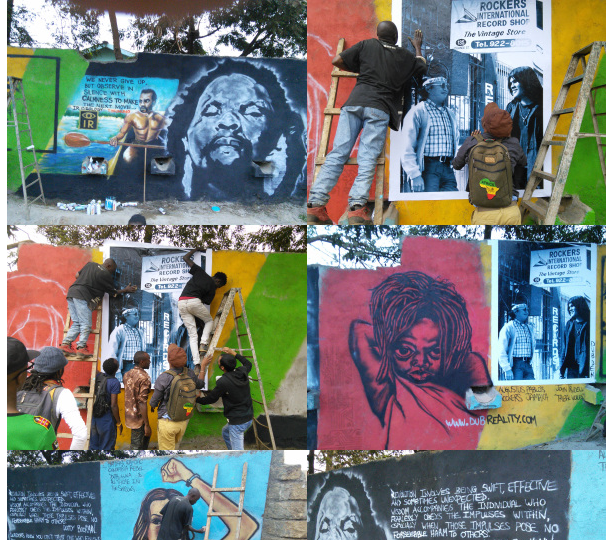 The genesis of our new IR35 release started with the making of the IR33 Korogocho DUBuMentary & Grafitti Experience in Nairobi, Kenya. 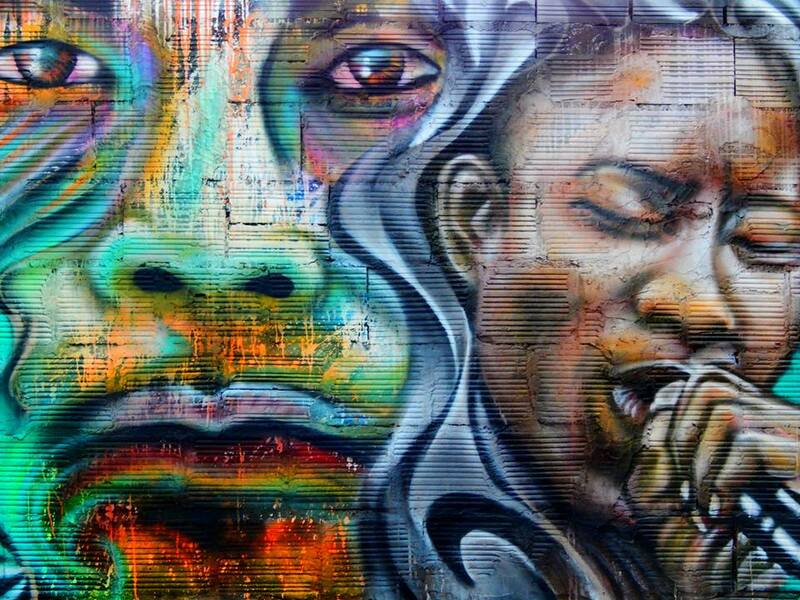 IR was inspired by circumstances found in the slum of Korogocho to create a mural, the making of which was documented by a local video crew. In the editing room of African Aftermath Media , while overlaying dub sounds to the images of the Kenyan graffiti artists painting the IR mural, the IR crew started splicing together edits of our previously released tracks featuring Jamaican artists Sawandi & Jah9 and the dub mixing skills of Delroy ‘Fatta’ Pottinger . These sounds formed the basis of the soundtrack for the film. It also inspired us to revisit the different mixes to create a new dub that would further highlight Sawandi’s ethereal keyboards and the soaring vocals of Jah9. 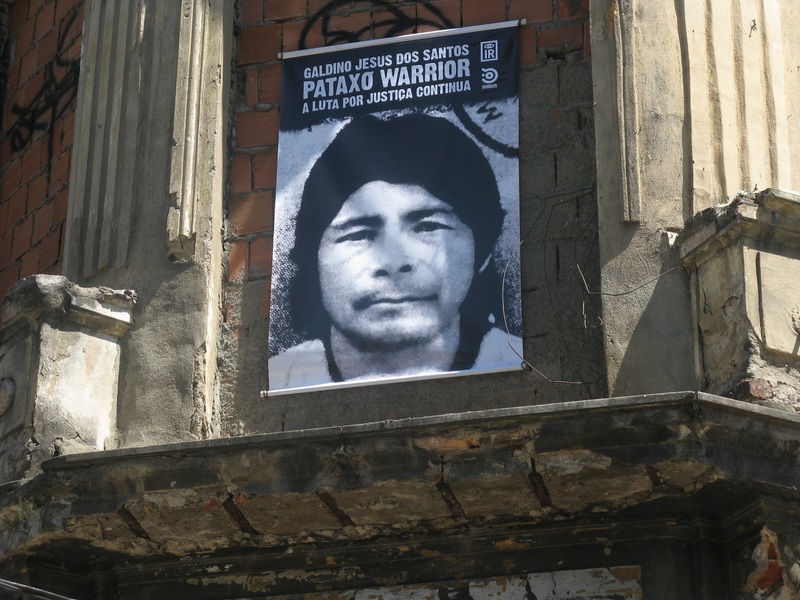 The fact that these tracks were focused on the brutal murder of the Brazilian Pataxo Indian, Galdino, and the subsequent amnesia that befell the Brazilian media about the case ever since, had IR thinking of a new way to retell the truth about Galdino. And so, the IR crew decided to make IR35. A back and forth process began across the internet oceans between The Ghost and Tapedave. Tapedave using his editing skills and creative imagination to flow with the guidelines on drum and bass sounds being offered from The Ghost. 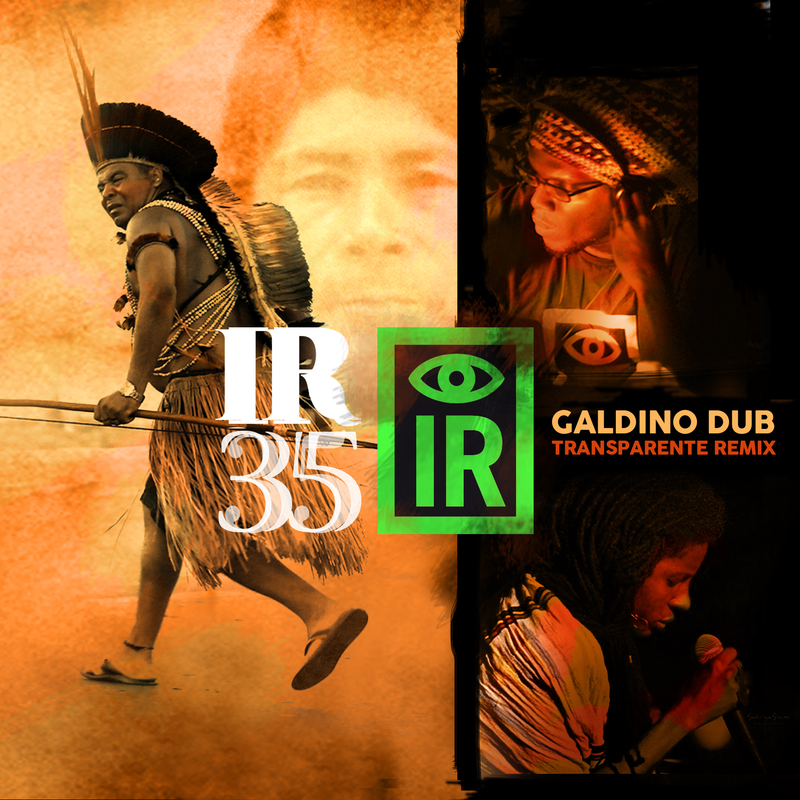 The result is “Galdino: Dub: Transparente Remix” A dub track mixed at Anchor Studio in Kingston, Jamaica with real roots drumming from Rashaun “Black kush” McAnuff, an integral member of Jamaica’s Roots Uprising band laying the steady floor under which Sawandi’s ethereal keyboards float, lending a mystical vibe to compliment the searing lyrics written by Jah9 and Tapedave alongside commentary by Zumbi & Kokonda Dub. In order to make certain the bass on the final mix would be rich and dub heavy, IR had to enlist the services of Kevin Metcalfe of Soundmasters in the UK you can reach Soundmasters at this link [ http://www.soundmasters.co.uk/” to master the new remix and remaster the original Sawandi’s Defiance In The Shadows Mix. Kevin is one of the most sought after mastering engineers and for good reason; having cut his teeth on The Kinks and David Bowie albums for RCA and then mastered classic albums by folks like Dennis Brown, Lee Scratch Perry, Black Uhuru to The Clash, Dead Kennedys, Robert Plant and numerous Adrian Sherwood On U Sound records. In fact our favorite 10-inch vinyl “Keep On Dancing” by Bim Sherman & Dub Syndicate was mastered by Kevin Metcalfe. We wanted that same heavy drum and bass we’ve heard on massive soundsystems ; crisp, yet thundering. Kevin certainly didn’t disappoint! He brought out the bass beautifully, which then infused the IR35 mix with an extra energy. This mix will also be featured on an upcoming international compilation organised by Colombian Rebel Youth entitled ” Dub Traffic” which will feature groups like Migración Sonora, Dr Das Dubnoiz Sound System, Dj Soundar and Bassassin. The video for this track marks the debut of Colombian photographer Hans Fhilip as a video producer/editor.It also includes video footage filmed by Andres Buitrago Special thanks to Andres Buitrago and Fairtunes Colombia for contributing film footage of the Emberá indigenous community .The video features the live grafitti painting by Colombian grafitti artist Chite Yarumo as he visually interprets some of the images on the Dubdem cover art for IR35 in his own unique style .These include images of Brazilian indigenous warriors and Jah9 . 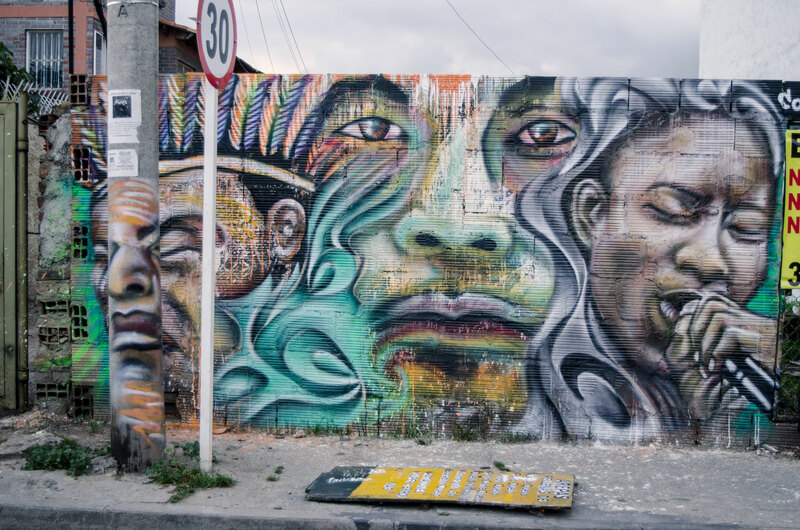 Chite Yarumo was the artist responsible for the giant IR mural in the Candelaria district of Bogota that featured images of Chief Poundmaker, Dutty Bookman , Franz Fanon and Jah9 among others . 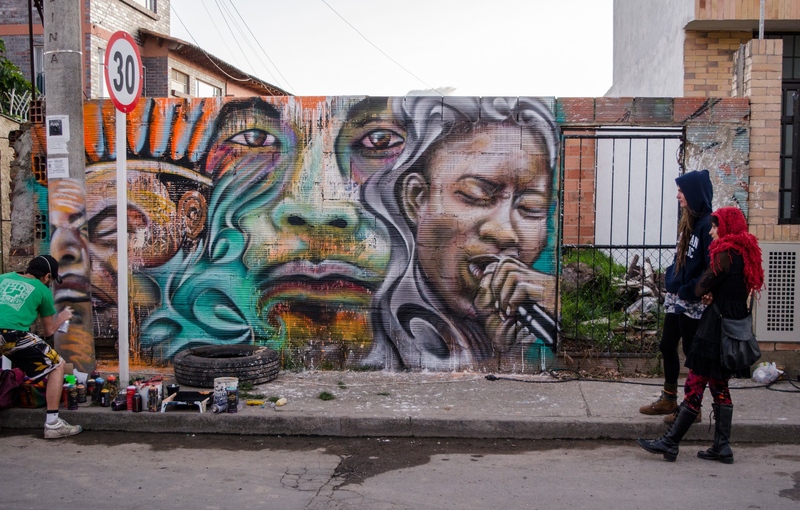 The day of the painting was a community event organised by IR and local InBassion crew as djs Pikó del Interior, Bassassin and Ana a Secas from Chia and Dj Soundar from France played music for folks in the neighbourhood in Chia , Colombia where the painting was taken place. 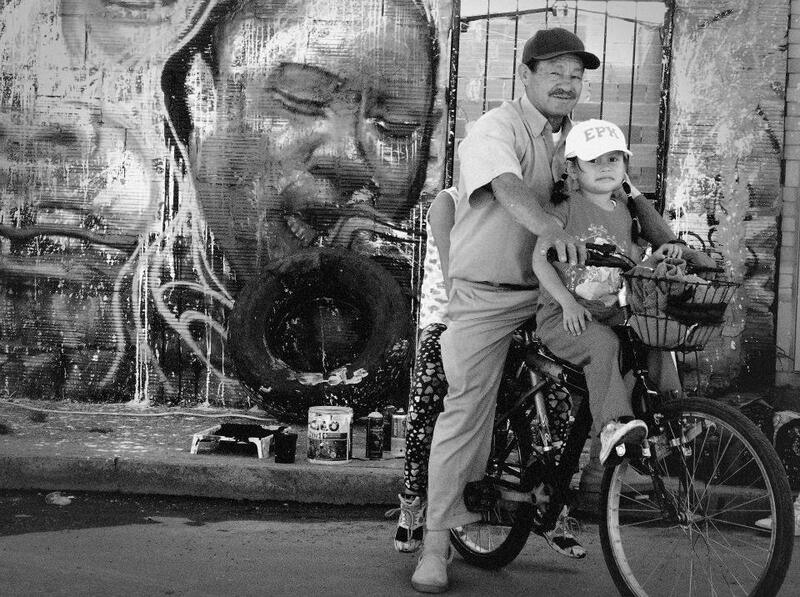 Since it was a sunday families were out on the street for a stroll and enjoyed the music as they passed by. As is the case with IR projects this event and this video are labours of love .Committed folks volunteering their time even as they cope with day to day responsibilities & pressures of everyday survival . Events and videos like these happen without budgets and little resources but with alot of cooperation between the participants. Events and videos like these happen without budgets and little resources but with alot of cooperation between the participants. In between scenes of the actual painting of the grafitti the viewer also gets to see some of the social issues that facing folks in Colombia. One sees scenes of protest marches and demonstrations by the indIgenous Emberra people in the Choco , Region of Colombia.As is the case in Brazil indigenous people are rigorously fighting and defending their rights to their ancestral lands.In the Chia region where the grafitti was painted there is deep concern about the contamination and enviromental damage being done to the rivers. Rebel Colombian Youth have organised a festival called Akzion Por El Frio ( ARF) to call attention to damage being done to the local rivers and eco systems.If you look carefully at the t shirt the grafitti artist Chite Yarumo is wearing you will see tha it is a T shirt for this festival and you will also see another mural for the festival painted by Chite Yarumo in the video. The video also makes the links to other cooperative actions organised by IR with other conspirators in Brazil. Dubdem Soundsystem and IR organised an event called “Dub For Galdino” a free community event at Cohab 5, Malvina in Sao Paulo Brazil. 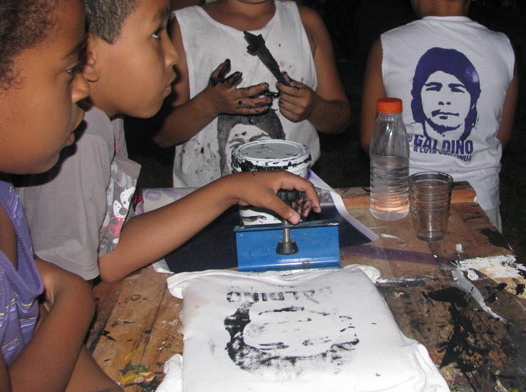 It featured a free concert by former Asian Dub Foundation lead rapper Deeder Zaman ( whose words are heard at start of the video) with Dubdem Soundsystem and a free silkscreening workshop by Labomb where the children of the neighbourhood were taught how to make their own Galdino T shirts. 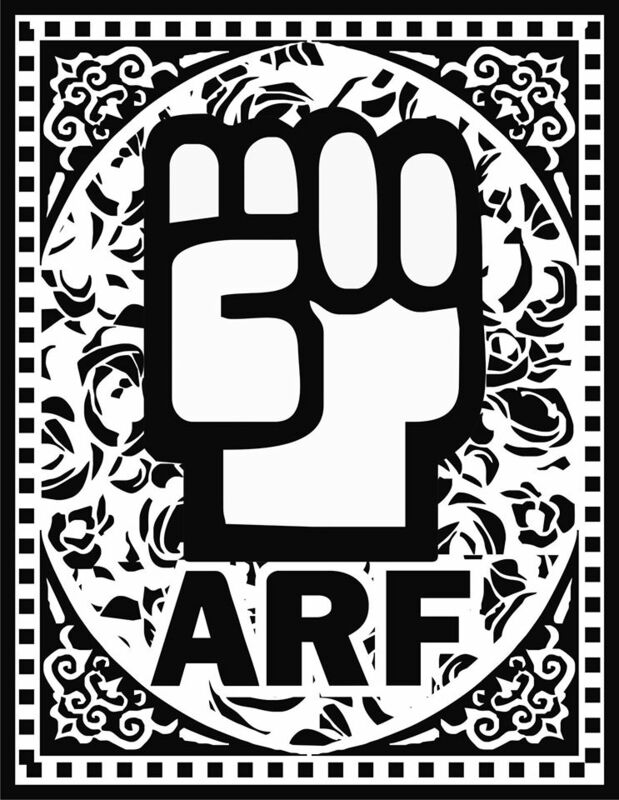 IR is always cognizant of the bigger picture and for us that means an awareness that we are fighting against an oppressive Babylonian system in all its forms . 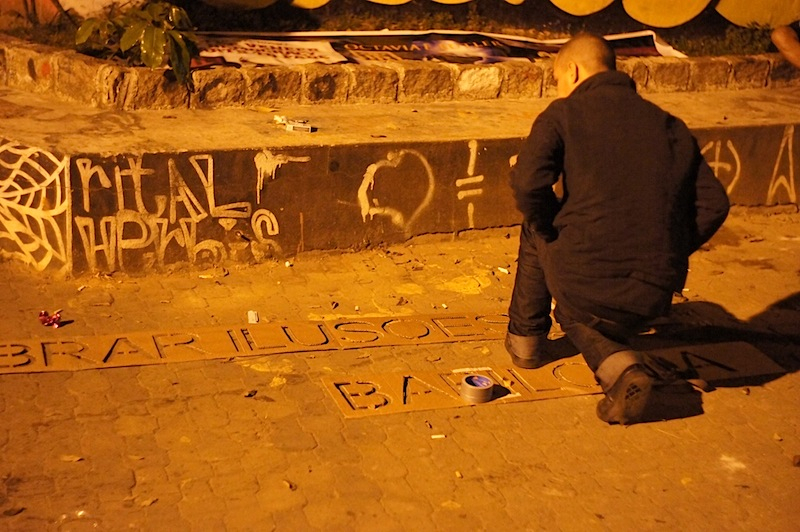 The video utilises photographs taken by Akaider of an art action done by IR,Labomb & Dubdem in Sao Paulo,Brazil. Clandestinely a giant banner was glued by night to the top of a building and stencil art done above it . The banner referenced the Dubdem remixed covers of the books ” Parable Of The Sower” a science fiction futurist book with social justice themes by Octavia E . Butller . One also sees a visual remix of the cover of the book”African Anarchism: The History Of A Movement” by Sam Mbah & I.E. lgariwey. The intent of this video was not to make some glossy high end video replete with music video cliches but instead to highlight collective cooperative actions wether done in broadlight or clandestinately at night. These actions are spontaneous ,organised autonomously with people taking the iniative create their own events and actions knowing they have a global network of people ready to back them up.The focus is really on doing concrete actions regardless of scale but making a tangible action to attempt to make a difference. 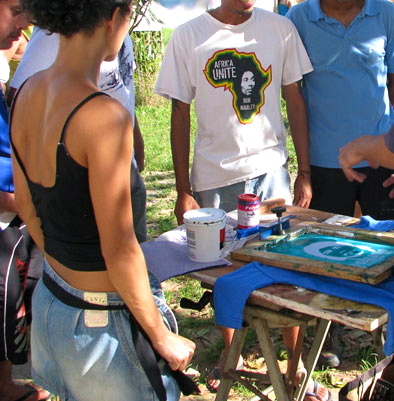 In this video you see an example of a spontaneous action organised by InBassion crew .Upon receiving a copy of the IR book ” IR30 Indigenous Visions In Dub” they printed out the experimental revoltionary art posters with black indigenous and human rights themes and covered their stand at a festival with the images and creating a giant collage.Their goal being to educate people in attendance about issues like the murder of Pataxo warrior Galdino. Amongst the final images you see in the video are those of a giant banner of Galdino designed by Dubdem . 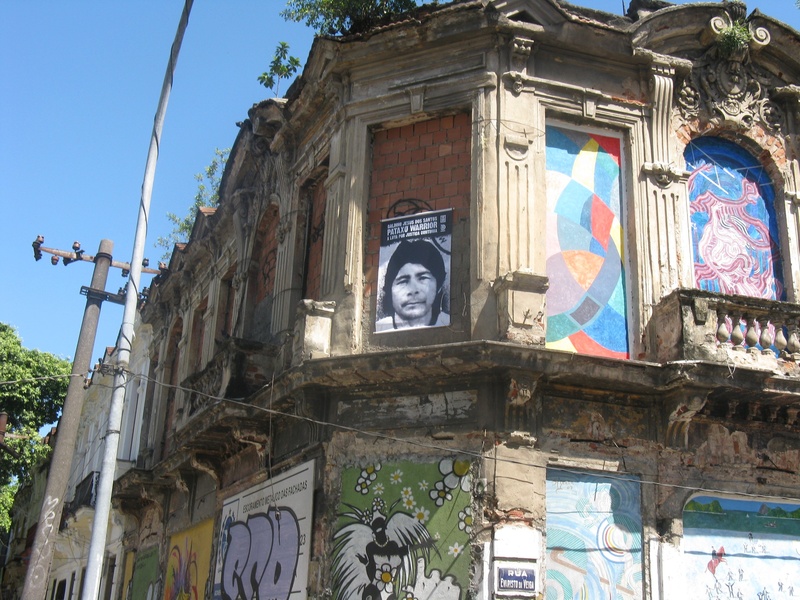 In a clandestine art action done by Labomb & IR a two story building in the Lapa neighbourhood in Rio De Janeiro ,Brazil was scaled and a giant banner of Galdino was attached to the top of the building. Amazingly this banner stayed up there untouched for two years while other posters in the neighbourhood were immediately torn down . 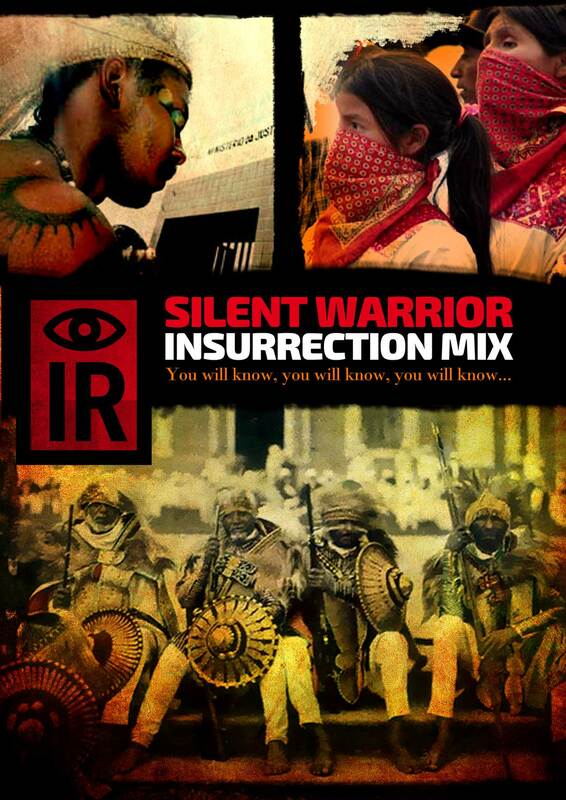 entitled ” Silient Warrior: Insurrection Mix” and a new video done by Santiago “The Dangerous Editor” Ospina. This will be the cover art that Dubdem has done for this release. This entry was posted on May 31, 2015 at 1:01 pm and filed under dub releases. You can follow any responses to this entry through the RSS feed.